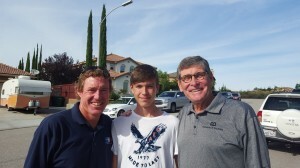 HomeBlog-OriginalCoachesVail Ranch is Running Long and Strong! "100 Mile Club over time has grown and created a positive, exciting culture at Vail Ranch Middle School over the course of nine years! Spotting your 100 Mile Club shirt in Big Bear has built a wonderful running program for all students at Vail Ranch and will continue for many years to come. Presently we have 370 100 Mile Club members, 238 Cross Country runners, and 250 have signed up for our Tu/Fr morning run group this year. Great Oak High School has benefited with five State Cross Country Championships and countless college scholarship athletes that came from Vail Ranch. Vail Ranch can not thank you and your wonderful staff enough! 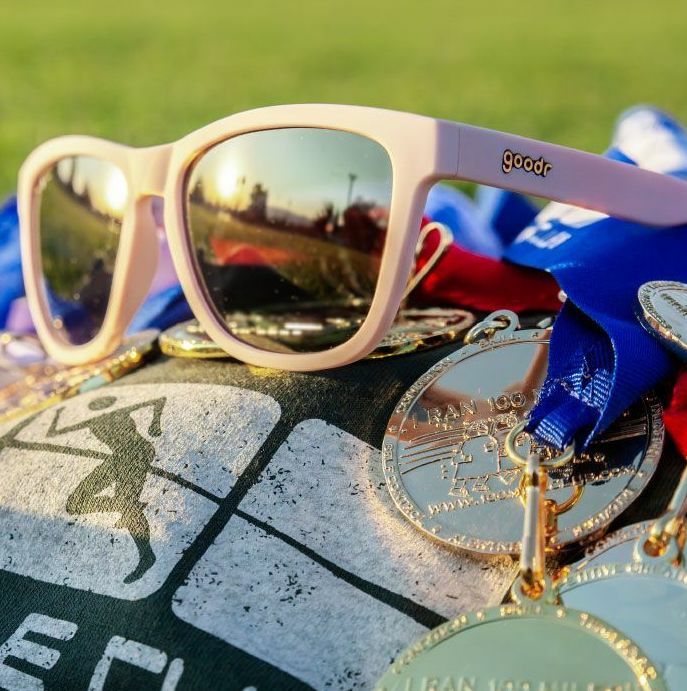 This program works in so many ways for young students..."
According to White (and numerous online reports), Vail Ranch is ranked as the #1 Middle School XC team in California. Their corresponding High School, Great Oak HS, is ranked the #1 High School Team (boys and girls) in the State, and the #1 girls team in the NATION! The #1 girl runner, Destiny Collins, and 8 of the top 10 girls at Great Oak are from Vail Ranch and are products of their incredible and inclusive 100 Mile Club led by Coach White! 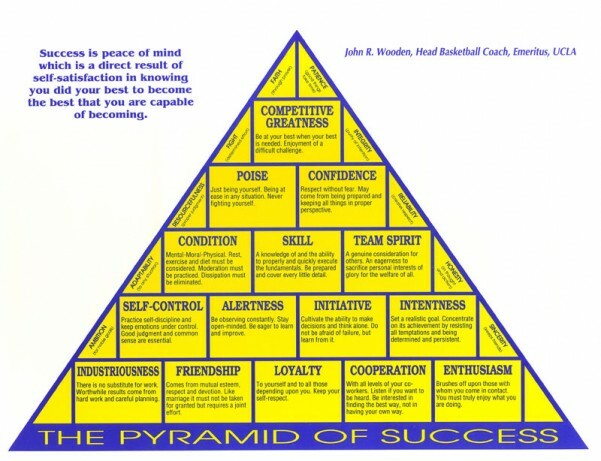 On top of the notable victories, through his daily lessons and 100 Mile Club sessions, Coach White encourages the learning and practicing of the essential life skills found in Coach John Wooden's Pyramid of Success. The following story illustrates the beauty and graciousness of two of Coach White's students. Countless life skills are displayed here, including poise, confidence, team spirit, honesty, integrity, sincerity, friendship. The list goes on and on. I just thought you should know about the great conduct displayed by two of your athletes, Faith and Georgie (obvisously I am slightly biased in Georgie's case). Faith and Georgie crossed the finish line side-by-side at the recent Diamond Valley Lake XC Race and it was very difficult to tell who finished before the other. Using their best judgement, the race staff personnel gave the 15th place medal to Faith. Later, Faith learned that she actually finished in 16th place and Georgie had finished 15th. Faith decided to try and give the 15th place medal to Georgie, but Georgie told Faith to keep the medal (it was Faith's first XC race medal) because Georgie knew how hard Faith had worked since last year's race and Georgie told Faith that she cared most about her race time and not the medal. As it turns out, Faith had shaved nearly 2 1/2 minutes off her time from last year's race. I was with Georgie after the race and she was visibly upset about her performance and I am pretty sure a medal would have softened the disappointment she felt about her performance compared to last year, but she told me later at home that she didn't want to take away from Faith's accomplishment and joy by accepting the medal from Faith. Georgie also told me, however, that Faith was also upset and no longer excited about winning her first medal once she saw the official results that placed her .1 seconds behind Georgie. The next day at school, Faith surprised Georgie with a gift inside a box and a card. As you might have guessed, inside the box was the 15th-place medal that Faith just didn't feel right about keeping. Faith's actions and the words in her card to Georgie, which Georgie allowed me to read, were very moving and inspiring, and made me feel blessed to know my daughter has a friend with such high moral standards. I just thought you might want to know about this so you and VRMS can feel blessed too. We are blessed to have you all in The 100 Mile Club® Family. Here's to many many more years at Vail Ranch Middle School.